Graco Inc. has been actively involved in the provision of spray equipment and pumps since 1926. Most of their tools include high end professional paint sprayers which are are used to handle fluid in the manufacturing, construction, maintenance, and processing industries. 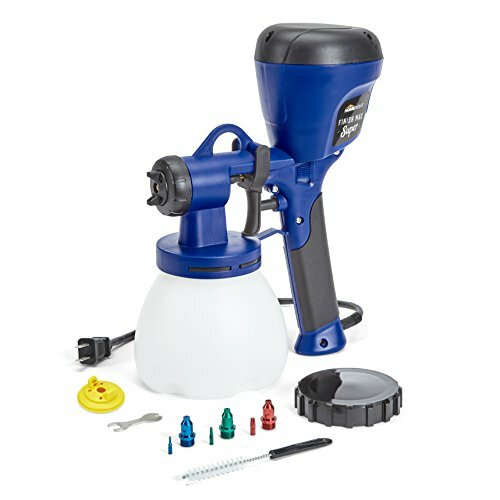 One of their product is the Graco spray gun which is used to tackle an array of exterior and interior painting jobs. 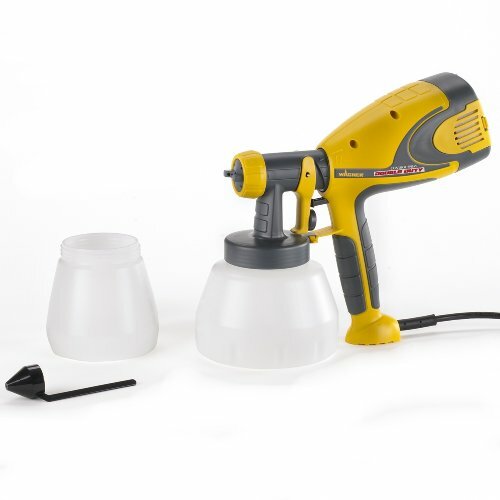 It is an ideal tool for priming, varnishing, staining, and latex paint. There are several spray guns for the Graco brand available on the market. They include Air Spray HVLP gun, Automatic Electrostatic gun, Chop & Gel Coat gun, Protective Coatings Airless gun, Air-Assisted gun, Spray Foam & Polyurea gun, Automatic spray gun, Airless Spray Guns, and Electrostatic spray gun. Below you will find the best Graco paint sprayers on the market. 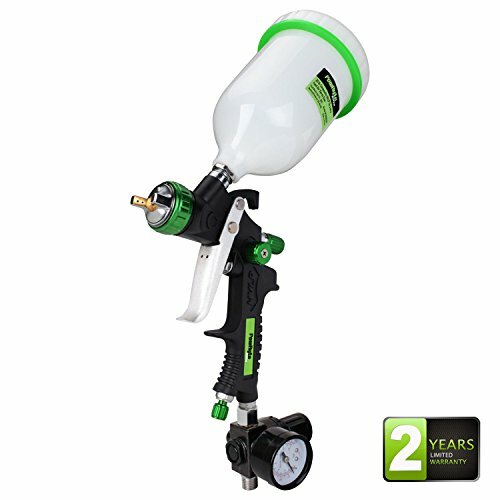 It’s a high-performance sprayer that gives you a cost-effective way to accomplish your painting jobs. This gives you the extra push needed to get the frequent painting jobs done quickly. The annual usage recommended for this machine is 50 gallons which are sufficient enough for a regular DIYer. 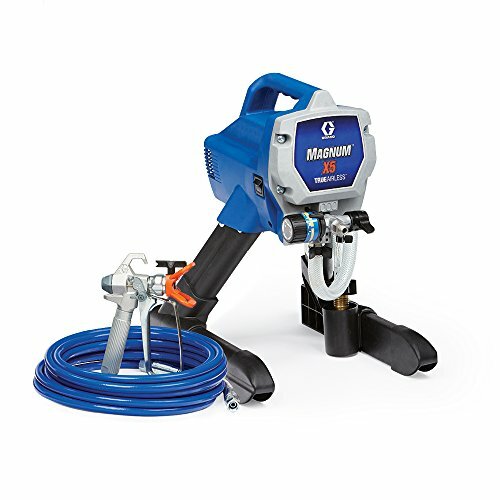 The Graco Magnum X5 is an airless paint sprayer that was designed to meet specific painting needs related to walls, fences, roofs, floors, fittings, and fixtures. 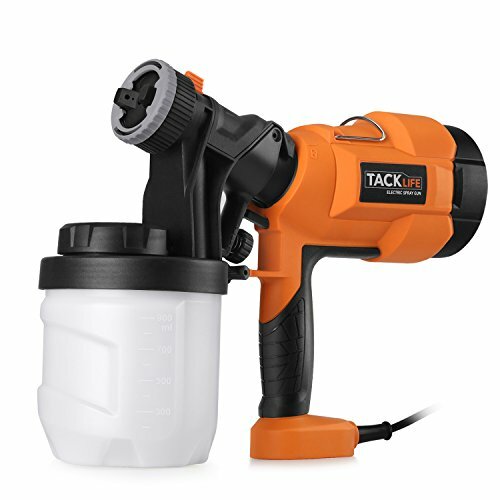 This sprayer pushes the paint through the nozzle using the hose method to give you efficient control over the flow of spray and eliminate any overspray problem. 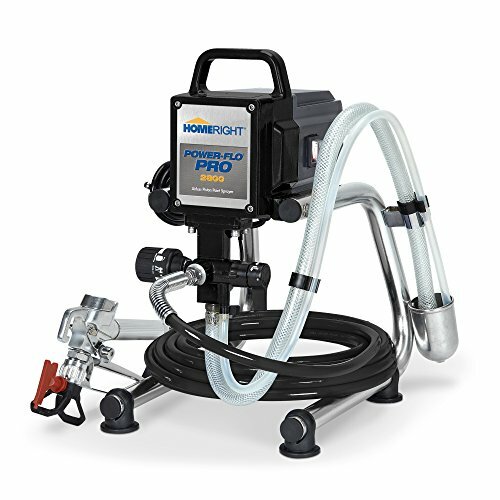 It’s a high-performance sprayer that gives you a cost-effective way to accomplish your painting jobs. It comes with a piston pump made from stainless steel material that is durable and has the capacity to do more spraying than the classical paint sprayers. From heavy latex to stains, you can easily spray a wide range of coating with the Magnum X5 sprayer. There is an instructional DVD for this product to enable you to understand the processes of setting up the sprayer, cleaning it, and troubleshooting, one may surely consider it as budget friendly quality painting sprayer under $300. This DVD can be played next to the machine in a Portable DVD Player. It comes with an SG2 metal gun that covers large spraying areas like sheds, garages, walls, and fences. The gun has a durable trigger that is compatible with tips of up to 0.015 inches. A RAC IVtip pumps out materials at speeds of 0.27 GPM. A flexible intake tube has been included to enable you to work with both one and five-gallon containers. 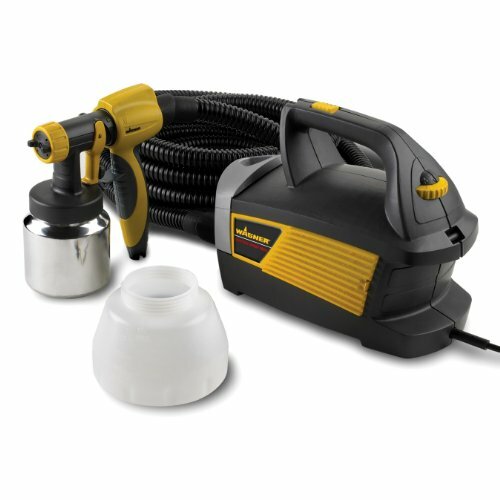 There’s a 25 feet DuraFlex hose that enables you to connect the spraying gun to the central unit. You can extend the hose to 75 feet so that you can easily move around much faster and still retain the finish quality. 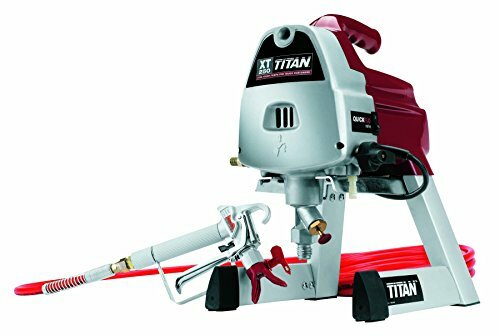 It also includes a 1/2 horsepower motor that can output 3000 PSI of pressure which is sufficient enough to tackle any home-based painting project. Also offered is a PushPrimer feature that ensures straightforward and quick priming. For easy cleaning purposes, a power flush adapter is included. This adapter can be easily attached to your garden hose to speed up the cleaning process. A knob is located near the intake tube to enable you to fine-tune the pressure settings. You can set the knob anywhere between low and high spray setting so that you can reach the best finish for the various painting materials. 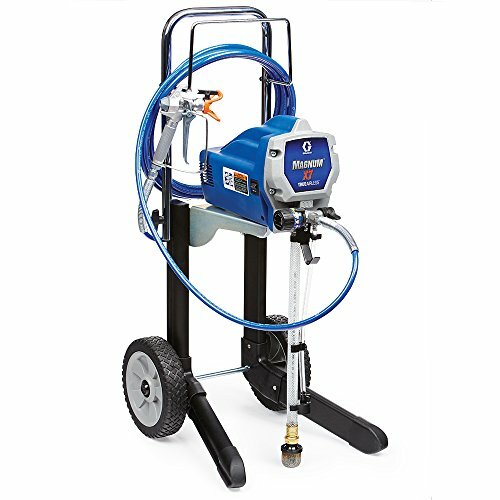 Graco brand is well known for its extensive line of outstanding airless paint sprayers. 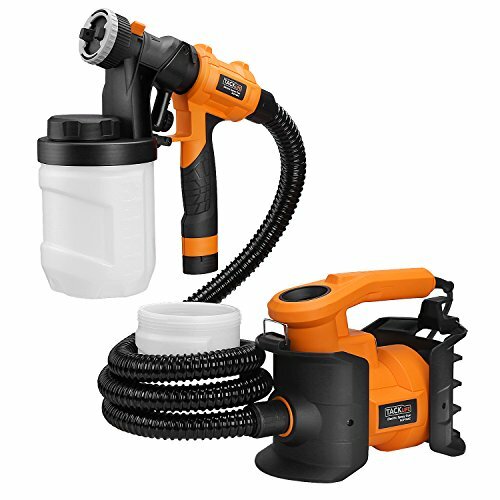 These sprayers can be used by DIYers, homeowners, handymen, professional contractors and property managers. One of its products is the Magnum X7 model that is able to handle a number of materials, ranging from light to heavy viscosity. This sprayer has a few extra features than the Magnum X5 model. One such extra is the auto-primer feature. This feature enables the machine to get started much faster and easier. The unit has been built for frequent use around the home area for interior projects, siding, decks, and fences. This output capability of this model is about 10 percent more than that of the X5 model. This gives you the extra push needed to get the frequent painting jobs done quickly. A wheeled cart has been included for easier mobility around the painting area. The cart can be easily folded to facilitate compact storage and transportation. The product is handy and is equipped in a way to save time with paint sprayer providing a comfortable grip for easier handling. Additional spray tips and other accessories can also be handled in a much easier way with the included storage compartment. It’s a relatively lightweight machine that is able to work with anything between light stains and thick latex & acrylics. It comes with an SG2 metal gun and a RAC IV tip. The gun has a full trigger that uses an inbuilt filter. The maximum tip size is 0.017 inches while its spraying capacity is 0.31 GPM. A 25 feet Duraflex hose has been included together with an 8-ounce Pump Armor fluid to help you easily store the unit. The intake tube is flexible enough to use with both one and five-gallon containers. You can also take advantage of the wheeled cart and attach a bigger bucket on the pail hook to move around with. A 5/8 motor is used to generate enough pressure to meet your painting needs and to give you the best possible finish. An adjustable knob helps you to adjust the pressure up to 3000 PSI. A 50-foot hose is a standard feature, but you can go for the 100-foot hose to be able to cover larger areas. For easier cleaning, the power flush adapter has been included. The Graco Magnum painter is a small utility airless sprayer that offers the home DIYers an easy and simple way to accomplish most of the house painting jobs. For avid DIY homeowner familiar with how to spray paint from ceiling to wall this product could be an ideal to choose. It has the capacity to handle most home improvement projects including interior projects, decks, sheds, and fences. It has features such as the 2.5-gallon hopper to enable you to get the job done quickly and efficiently. It is the ideal machine for those who want to enjoy the features of a Graco unit but with a limited budget. The annual usage recommended for this machine is 50 gallons which are sufficient enough for a regular DIYer. In terms of output, the unit provides 0.24 GPM. The 3/8 horsepower motor helps you to push the coating material through a 25-foot hose with an option to use a 50-foot hose. It has the SG2 gun feature that is able to achieve a top pressure of 2800 PSI to help you get a nice pattern size and a decent finish. Its 515 RAC IV tip comes with a guard to enable you to do a number of tasks. The tip size is limited to 0.015 inches. The graco project paint sprayer is able to work with both paints and coatings ranging from thin to medium, latex materials, and stains to acrylic. An instructional DVD is included to help you get started. It has a compact and lightweight design that makes it easy to move around with the sprayer. A piston pump has been included that allows you to work on unthinned coatings for a longer period of time. Just like the other Graco units, it comes with an adjustable knob to help you achieve the desired finish. Some of the settings on this knob include roller, cleaning, low and high pressure. The other features are the RAC Tip and the Power Flush Adapter. The adapter allows you to hook up the unit onto a garden hose to speed up the cleaning process. The residues can also be easily flushed out by running water through the sprayer. A Reverse-A-Clean tip helps in removing any clogs from the system. Whether you are a homeowner, handyman, DIYer, or a painting contractor, Graco spray guns are impressive tools for tackling your painting needs. Choosing the right spray gun can be quite a task especially if you don’t know the things to look out for. We have explored a number of factors to enable you to determine and choose the right Graco gun for easier, dependable and efficient performance of your tasks. The first thing you need to know is the type of material you will be spraying your gun with. Different guns have been designed with different tip sizes to handle specific types of material. It is important to check out the required minimum tip size for your painting material. Thicker materials require larger tip sizes in comparison to the thinner materials. Compare also the maximum tip size allowed for the spray gun so that you buy the right gun. The next aspect of consideration is the volume of liquid that you expect to handle. Not all spray guns have been designed for full-time spraying applications. There are entry-level models for tackling small home-based projects. There are also professional grade models that can handle full-time painting. Your gun should, therefore, have the versatility required to meet your demands. There is then the issue of the type of surface to be sprayed. Different surfaces use different materials to achieve a specific finish. By looking at the surface, you will, therefore, be in a position to choose a spray gun that gives you the desired finish. In addition to the type of surface and material, you also need to consider the capacity of your spray gun. The first aspect of capacity is the amount of current required to power up your unit. 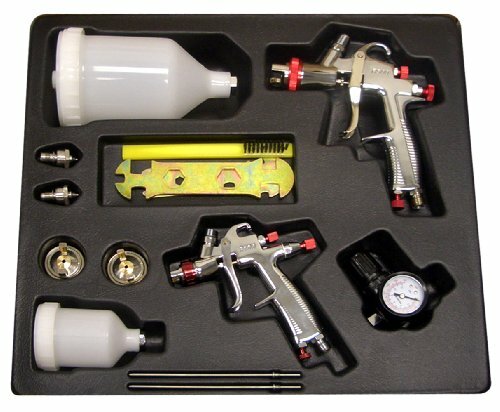 The different spray guns vary in terms of pressure and it is important to know your pressure requirements to be able to choose the right one. Heavy paints require more pressure than lighter paints. The other aspect of capacity is the speed with which the spray gun will handle your job. A high-performance motor will deliver faster results as it offers more volume of paint within the given time frame. It is good to know that some sprayers will require constant refilling and may cause frequent clogging because of insufficient power. There is also the cost aspect that must be factored. Purchasing a reliable paint spraying gun is a long-term investment which needs to give you value for your money. Buying too cheap can cause frustrations because the gun may not be able to cope with your needs. You may also not have the sufficient budget to buy the high-end units. Instead of focusing on price alone, it is good to look at features like the power source, maximum tip size, material compatibility, and the fluid capacity. You can spend a little more coins and get a spray gun that works right for you. It is important to acquire the right spray gun with the right tip size to effectively handle your paints and spraying surfaces. Using Graco spray guns to tackle your exterior and interior projects is a good choice. These products offer you a simple setup, faster painting, consistency, and high-quality results. They have been designed in a way that makes it possible even for beginners to use them. Choosing the best Graco spray gun can increase the speed and quality of your spraying projects. Whether you choose a smaller gun or a large one, it is the quality of finishes, the details of the project, and the precision with which you can do your work that counts. It is advisable to get the right gun for your job and one that fits within your budget.